It’s an Apple-flavored week for deals. Until June 4, Sam’s Club has the Wi-Fi-only iPad on sale. 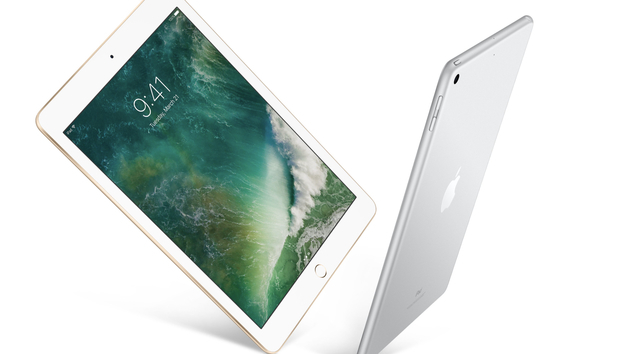 The retailer is offering the 32GB Space Gray iPad for $298 and the 128GB tablet in Gray or Silver for $358. The 128GB version is the better deal, since it’s usually $429 from Apple. That keeps $71 in your pocket—more than double the $31 you’ll save if you buy the 32GB tablet. Note that these prices are for Sam’s Club members only. These current-generation models feature the usual 9.7-inch retina display, a 64-bit A9 chip, an 8 mega-pixel camera with 1080p video, a 1.2MP FaceTime camera, 802.11ac Wi-Fi, and up to 10 hours of battery life. Improvements over previous generations include a stronger backlight, a slightly larger battery, and an improved camera coprocessor. The standard fifth-generation iPad does lack extras you’ll find in the Pro line, like Apple Pencil support and True Tone, but if you’re debating between these and a Pro model, we genuinely believe that this iPad is the better option for most people.